The realities of warfare on the ground are never the same as they are from the command center. XCOM: Enemy Unknown tackles the latter approach, with turn-based strategic play that constrains the action in the service of a more thoughtful advance. 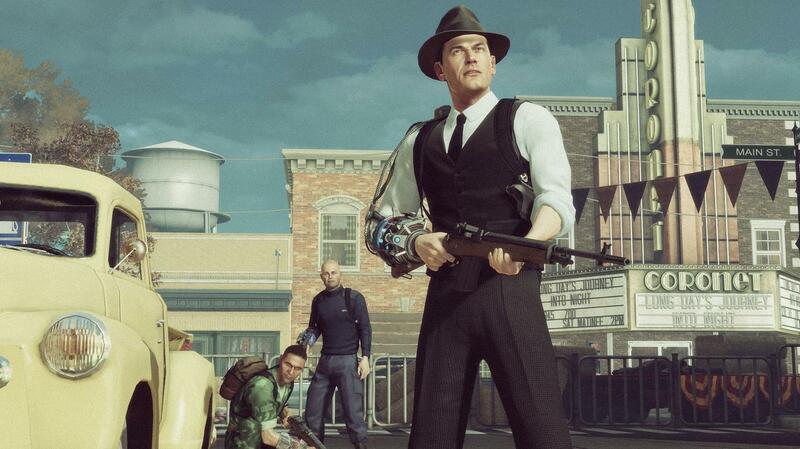 The Bureau: XCOM Declassified instead embraces the idea of “boots on the ground.” Enemy Unknown‘s all-seeing, all-knowing Commander figure is absent in this origin story. He’s also probably hasn’t been born yet. Moment-to-moment decision-making instead falls to Agent William Carter’s own boots being firmly planted on terra firma. The Bureau offers a twist on the XCOM that you know, but it’s not quite as dramatic a shift as you might think at first. You’ve still got squad-based play, tactical strategy, character progression, and permadeath. All of the trappings that make XCOM what it is. The twist is that it all plays out in The Bureau from a third-person perspective. The action slows down enough for you to hand out orders, but it never comes to a full stop. The best news of all though? It works, and it works well. If you’re looking for something to compare The Bureau to, it lines up best with the most tactical play in Mass Effect 3. Orders to your NPC teammates are assigned by a radial Battle Focus menu. Time slows down as soon as the menu is called up, affording you the freedom to queue up a whole string of orders without sacrificing the action-focused flavor of this tweaked XCOM formula. It’s a bit of an adjustment at first, but mostly a mechanical one. The constant threat of death requires careful tactical planning with every advance. Finley and the rest of the team regard The Bureau as a “gateway” for mainstream audiences into the larger XCOM universe. The direct action feels extremely smooth based on our recent play session of a portion of one story mission. Necessary third-person shooter trappings, like cover and intuitive weapon handling combine, well with the tactical scope of the game. 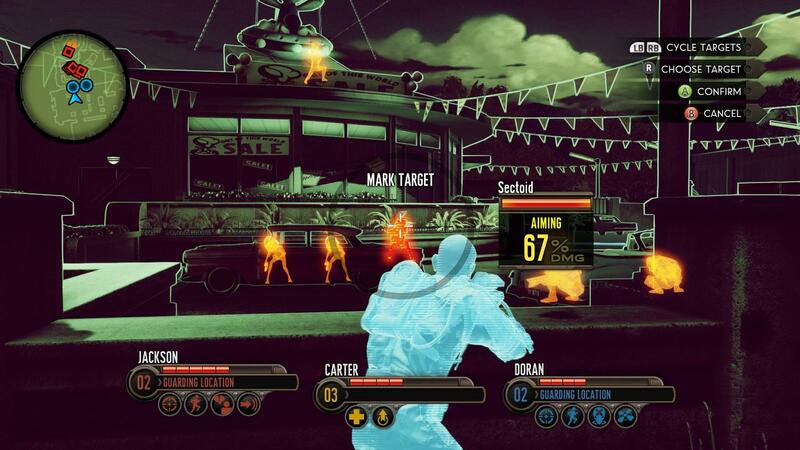 Carter is always joined by two other agents in a given mission, and each one’s skills are dictated by the four base classes that are heavily inspired by those from Enemy Unknown. The Commando is your basic front-line infantry grunt, a tank class with the ability to draw enemy aggro his way. Engineers bring offensive support in the form of sentry turrets, mines, and the like. Recon is your sniper, dealing out high damage one-shots from extreme range. Support keeps everyone healthy and offers passive buffs. All four classes level up over time just like their Enemy Unknown counterparts, and all sport branching skill trees that allow you to tailor how they develop and what they bring to a battle. Using all of the various skills in harmony is the trick to keeping everyone alive, and permadeath is always a consideration when you step into combat in The Bureau. If a squadmate goes down, you have only a limited amount to resuscitate him before he expires completely. When that happens, all that hard earned experience is gone and you start over from scratch. Once a character is dead, you will have to dip into your pool of existing operatives or recruit a rookie to the cause. The character creation screen lets you name the character, make them look how you want, assign them a background, and give them a specialty. The reason for that is so you grow attached to the characters, and when they die, you miss more than their leveled up abilities. Keeping a constant rotation of characters all leveling up over time will likely prove more beneficial than relying on a few characters that you can level quickly. Death comes quickly in The Bureau. The constant threat of death requires careful tactical planning with every advance. The biggest advantage is in keeping your squad close together, but that isn’t always an option when flanking maneuvers are needed. Alien invaders have a tendency to spawn in from unexpected locations as well without warning, so a seemingly safe location can quickly turn into the focal point for a heated exchange of fire. Once the controls click, combat feels as structured and as carefully planned as the best moments of Enemy Unknown, but with the added fluidity of real-time action. Bear in mind, this observation is based entirely on an hour-long playthrough pulled from one section of a story mission, so it’s hard to say how the flow of the play and the challenge level holds up as the full story unfolds. The mechanical elements feel like they’re dialed in though; the hour of play was a real joy. The story is built around a series of key missions, between which you have the option of tackling secondary tasks of lesser importance, all in the pursuit of more XP, better gear, etc., etc.. Unlike Enemy Unknown, there is no farming. The Bureau features a finite number of missions sandwiched between each major story sequence. You can drive straight through, of course, but gearing up is the wise course. You also occasionally encounter moments that present you with a choice. In our particular demo, an infected agent offers to sacrifice himself as a delaying action to help your squad get into a nearby alien encampment. You can let the doomed man have his way or you can order him to an evac point so that his noble sacrifice can be put to better use, namely finding a cure for this sickness that the aliens have spread. The big focus for 2K Marin is to give players a more immediate sense of investment in the action unfolding around them. The choices you make don’t have a big-picture impact on the story, but they influence the challenges that you face. Weapons can be picked up off the ground and immediately swapped into your loadout. Research efforts are now more story-motivated than anything else. You can collect backpack schematics to unlock items that provide passive buffs, but autopsies, interrogations, an escalating catalog of items for you to buy– all of this is is left behind. 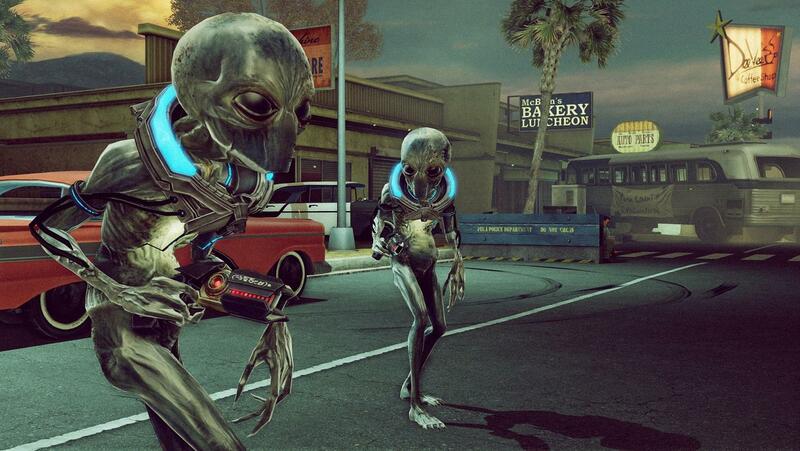 It’s easy to be suspicious of The Bureau: XCOM Declassified after such an extended period of development. The FPS game we saw introduced two years ago disappeared from everyone’s radar, and only now has resurfaced as a third-person shooter. That sort of thing does not usually bode well for a game, but it doesn’t seem to be the case here. On the contrary, the additional lead time seems to have given 2K Marin exactly what was needed to focus its efforts and deliver a game built on the core tenets of the XCOM series, while offering a twist on the play meant to please a different audience. We’ll find out this summer if those efforts amounted to an across-the-board success, but the bit that we’ve seen and played so far is very encouraging.